63. We are already working in partnership with industry and the police to remove terrorist and extremist material. Cooperation with industry has significantly improved in recent years. Removals at the request of the police have increased from around 60 items a month in 2010, when the unit responsible was first established, to over 4,000 a month in 2015, taking the total to 110,000 pieces of propaganda removed. 64. However, a fundamental shift in the scale and nature of our response is required to match the huge increase in extremists' use of the internet. This will involve close partnership with the public and industry to do two things: first we need to empower people to use the internet to challenge extremists online; and second we will work with social media and communications providers to ensure extremists do not have open access to their platforms. build awareness in civil society groups and the public to empower internet users to report extremist content. continue to support greater use of filtering, working with industry to develop more effective approaches. 67. Communications service providers have a critical role in tackling extremist content online. We have seen the considerable progress they have made in tackling online Child Sexual Exploitation. We now look to them to step up their response to protect their users from online extremism. 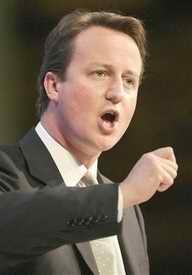 As the Prime Minister made clear in his July 2015 speech,... is now time for radicalisation . We need industry to strengthen their terms and conditions, to ensure fewer pieces of extremist material appear online, and that any such material is taken down quickly. 68. Using the internet -- both to confront extremist views and limit access to extremist content -- is crucial if we are to challenge extremist ideologies in our modern society. Alongside this is a need to promote the positive message that it is possible to reconcile your faith identity and national identity. By contesting the online space and presenting compelling alternatives to the extremist worldview, we will work in partnership with others to keep pace with the extremists' use of the internet. The government is amending its Counter-Terrorism and Border Security Bill with regards to criminalising accessing terrorism related content on the internet. MPs, peers and the United Nations have already raised human rights concerns over pre-existing measures in the Counter-Terrorism and Border Security Bill, which proposed to make accessing propaganda online on three or more different occasions a criminal offence. This clause may capture academic and journalistic research as well as those with inquisitive or even foolish minds. The viewing of material without any associated intentional or reckless harm is, in our view, an unjustified interference with the right to receive information...unless amended, this implementation of this clause would clearly risk breaching Article 10 of the ECHR and unjustly criminalising the conduct of those with no links to terrorism. The committee called for officials to narrow the new criminal offence so it requires terrorist intent and defines how people can legally view terrorist material. The United Nations Special Rapporteur on the right to privacy also chipped accusing the British government of straying towards thought crime with the law. A person commits an offence if...the person views or otherwise accesses by means of the internet a document or record containing information of that kind. Having no reason to believe, that the document or record in question contained, or was likely to contain, information of a kind likely to be useful to a person committing or preparing an act of terrorism. Index on Censorship is concerned about the UK's Counter-Terrorism and Border Security Bill and believes that the bill should go back to the drawing board. The bill threatens investigative journalism and academic research by making it a crime to view material online that could be helpful to a terrorist. This would deter investigative journalists from doing their work and would make academic research into terrorism difficult or impossible. New border powers in the bill could put journalists' confidential sources at risk. The bill's border security measures would mean that journalists could be forced to answer questions or hand over material that would reveal the identity of a confidential source. These new powers could be exercised without any grounds for suspicion. The bill also endangers freedom of expression in other ways. It would make it an offence to express an opinion in support of a proscribed (terrorist) organisation in a way that is reckless as to whether this could encourage another person to support the organisation. This would apply even if the reckless person was making the statement to one other person in a private home. The bill would criminalise the publication of a picture or video clip of an item of clothing or for example a flag in a way that aroused suspicion that the person is a member or supporter of a terrorist organisation. This would cover, for example, someone taking a picture of themselves at home and posting it online. Joy Hyvarinen, head of advocacy said: The fundamentally flawed Counter-Terrorism and Border Security Bill should be sent back to the drawing board. It is not fit for purpose and it would limit freedom of expression, journalism and academic research in a way that should be completely unacceptable in a democratic country.